Computer Freezes Randomly, mainly after being left on for a long time. Yes, it is the latest version of SpeedFan. The result of Core temp and SpeedFan are here at the photos. First photo is when I'm not using it for like a hour and second photo is when im playing my game. Edited by lanznoob, 09 August 2017 - 05:36 AM. Are you still running Win 8.1 or dis you upgrade to 10? 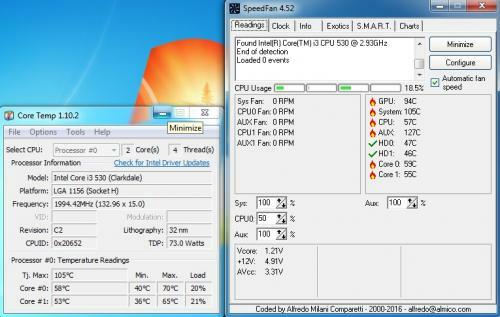 Apparently the CPU temps and the hard drive temps are both OK. I've seen speedfan pick up odd values before so probably that's what is happening with the system & aux values. 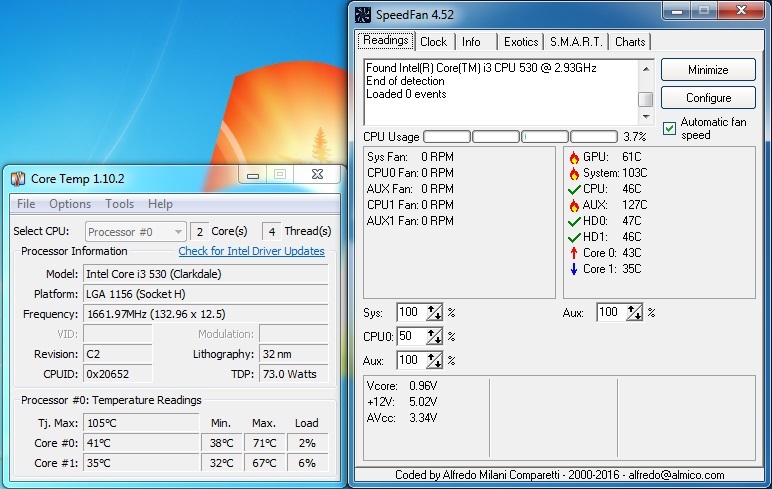 Odd that speedfan doesn't even show a fan speed. Is the fan running? 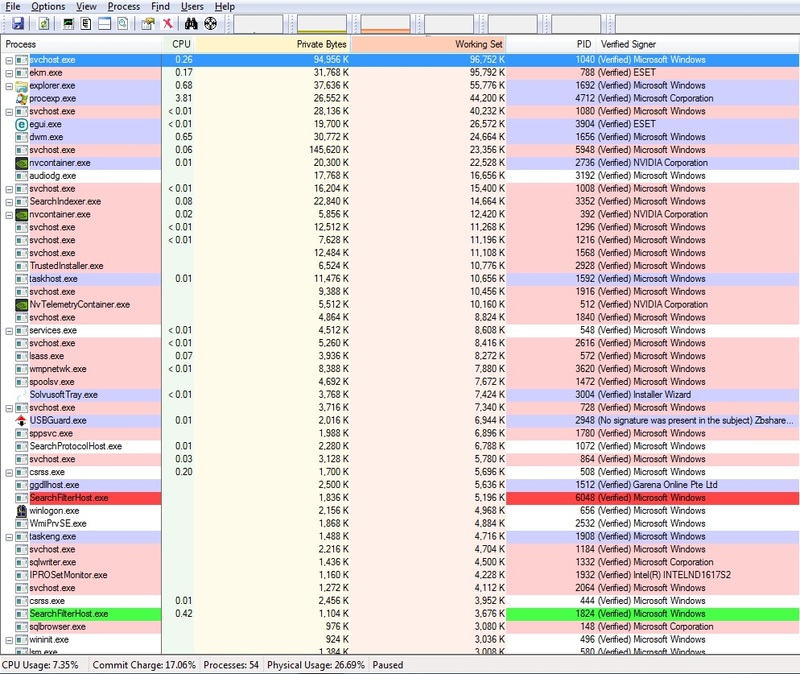 Click twice on the Working Mmeory column header to sort things by Memory usage with the big hitters at the top. Wait 15 minutes. Do what you normally do when the trouble occurs but don't start any new programs. Create a new log and post it. 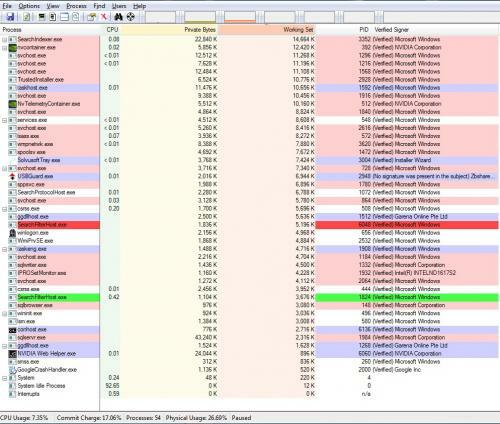 Let's also look at the event viewer. Im Using Windows 7 as an OS. I tried to save the procexp as a text but the columns are not align because some of the processes don't have values of other columns. I'll paste it here and send a photo of it also. I'll be sending 2 photos of procexp. An error was detected on device \Device\Harddisk0\DR18 during a paging operation. A little more information. This balloon pops up when my game crashes. Not sure which drive is \Device\Harddisk0\DR18 but you need to run a disk check on it. Your freezing error is common and appears to be nvidia related. Have you recently upgrade the BIOS or the Nvidia drivers? 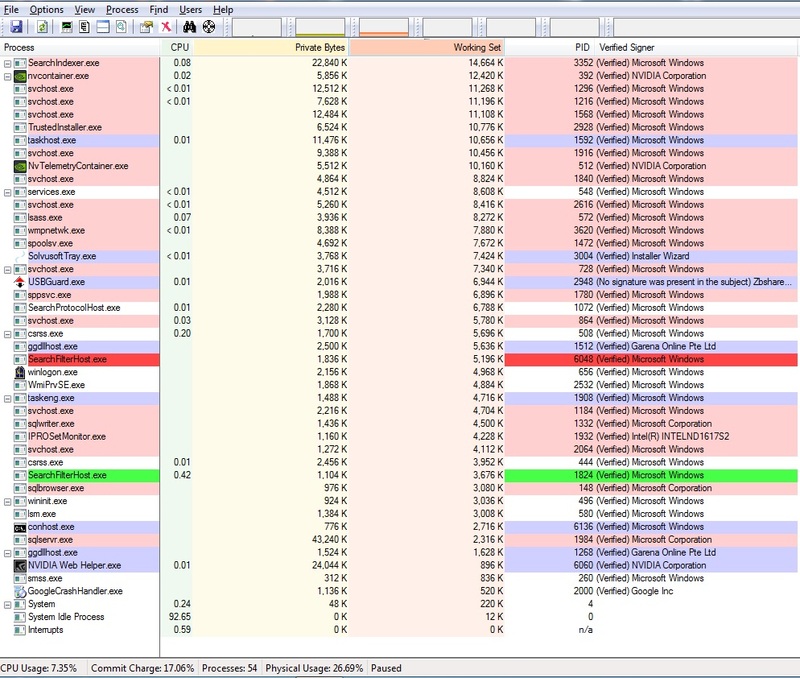 Not sure what you are doing with Process Explorer. Don't care about the formatting. Just want to see two logs about 15 minutes apart with the heavy memory users at the top. First couple of perocesses are all I care about. We are looking to see if the working memory for one process is slowing increasing. This is an indication of a memory leak where a driver doesn't return no longer used memory and keeps grabbing more. Edited by lanznoob, 15 August 2017 - 05:35 AM. utorrent seems to be growing. Try uninstalling it. I've uninstalled it, but same problem still occurs but now it is better because when I got that utorrent, the problem will occur 2.4hours but now i think it will occur after 6 hours. 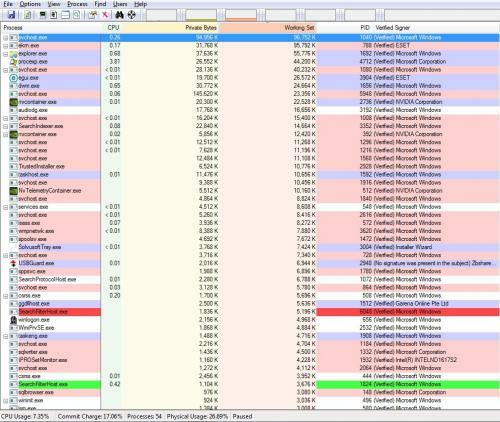 OK. Give me two process explorer logs an hour apart. Without any changes to running programs. I would start with ESET. Since it doubled its memory use. Check it after several hours and see if it still climbs without limit. Right click on downloaded file and Extract All, Extract. Right click on rammap.exe and Run As Admin. Yes. File, Save, note name & location. Zip up the file and Attach the file to your next post. Attaching is a multi step process. Fix. It should create a file Date_Time.zip on your desktop. the save it as fixlist to the same folder as FRST. I can't post it It's above 5mb. Sorry for my late reply. OK take a screenshot of the first page.